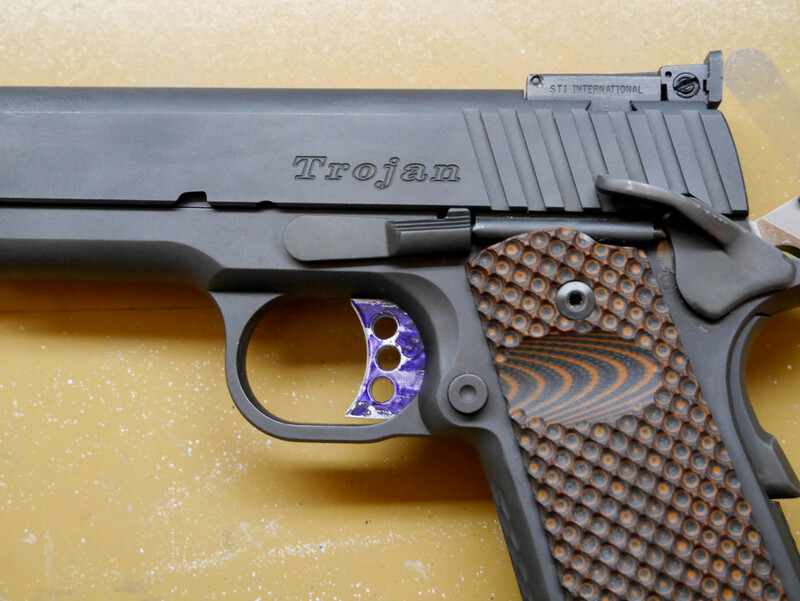 Here we cover how to install a new 1911 trigger that requires fitting to your frame. I decided to change out my STI Trojan’s stock trigger since it was plastic and had a little too much flex for my taste. Also, the fit of the trigger to the frame was great for a mass produced gun but I wanted a much tighter fit. 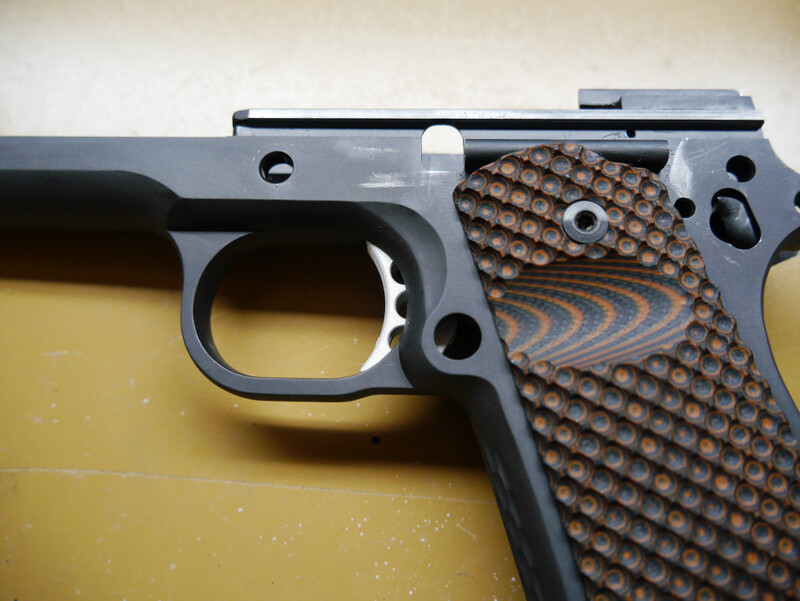 I went with a Wilson Ultralight Match Trigger (long) since I’ve used it in my other 1911 builds. It has nice grooves for your fingers, pretravel tabs, and an overtravel screw. 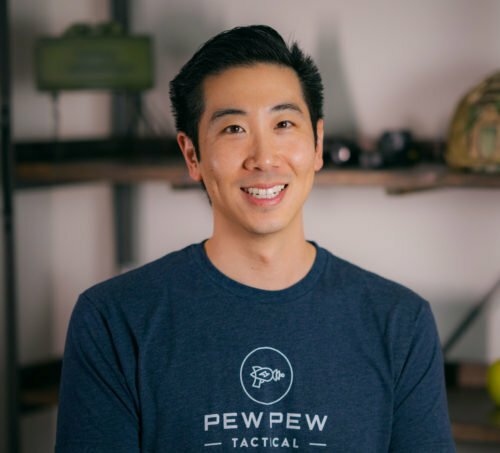 First disassemble your gun. To reach the trigger, you’ll have to completely disassemble your frame. 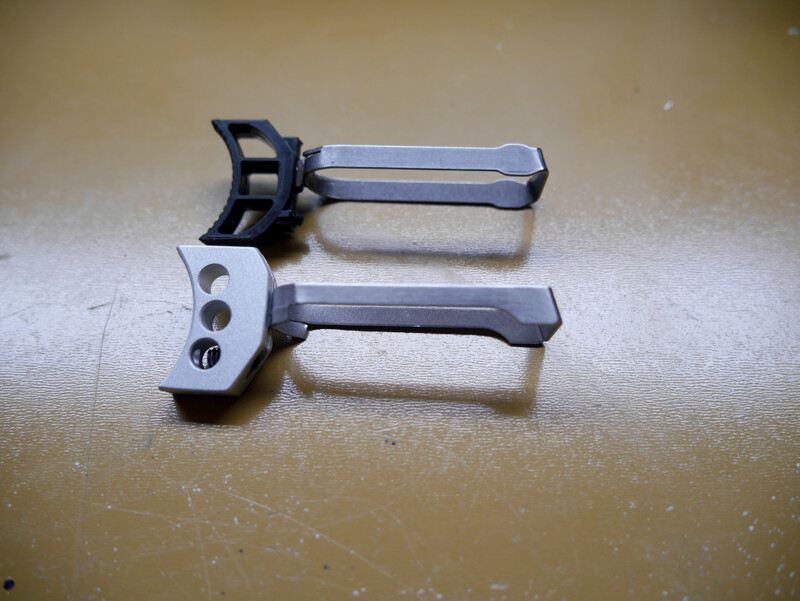 Here’s the stock plastic STI trigger compared to the Wilson trigger. Here’s me putting in the Wilson trigger as-is into the gun. Be glad that it doesn’t slide right in so you can make it a perfect fit. 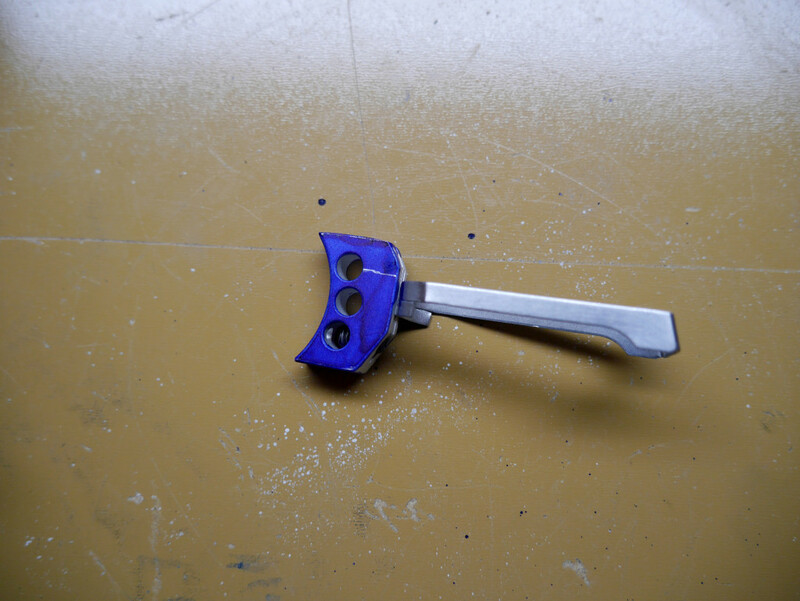 Here’s a top view which shows that we’ll probably have to work with removing material from the top of the trigger. Since my trigger can’t even fit in the general trigger area and I can see that the top of the trigger is hitting the frame, I need to sand that part down. 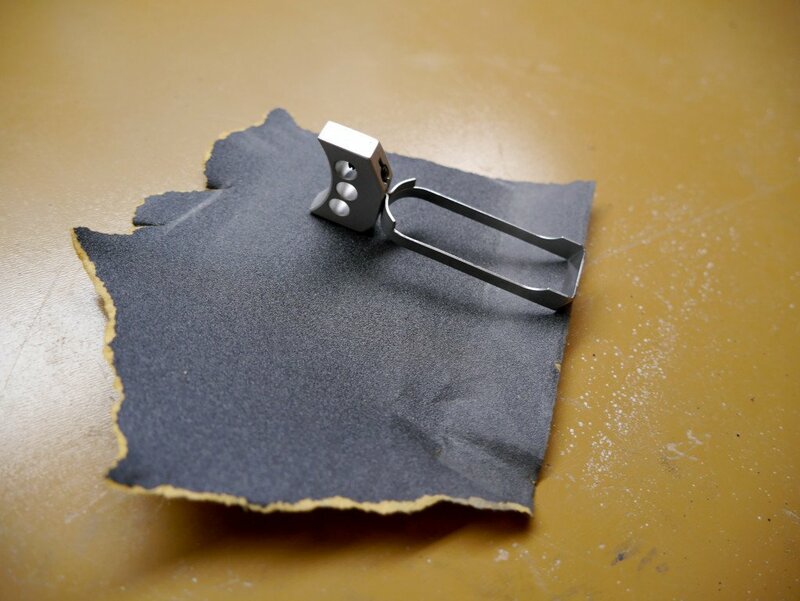 Take a piece of the roughest sandpaper and put it on a flat surface. Then just rub the trigger over it in a straight motion. I try to only grasp the trigger itself so I don’t mess up the shape of the bow which could affect magazine fit. It can take several loops of sanding and testing. Once the trigger can fit in roughly, I put on some Dykem. I put the trigger in and out a couple times to see the scuff marks which tell me where to precision sand. 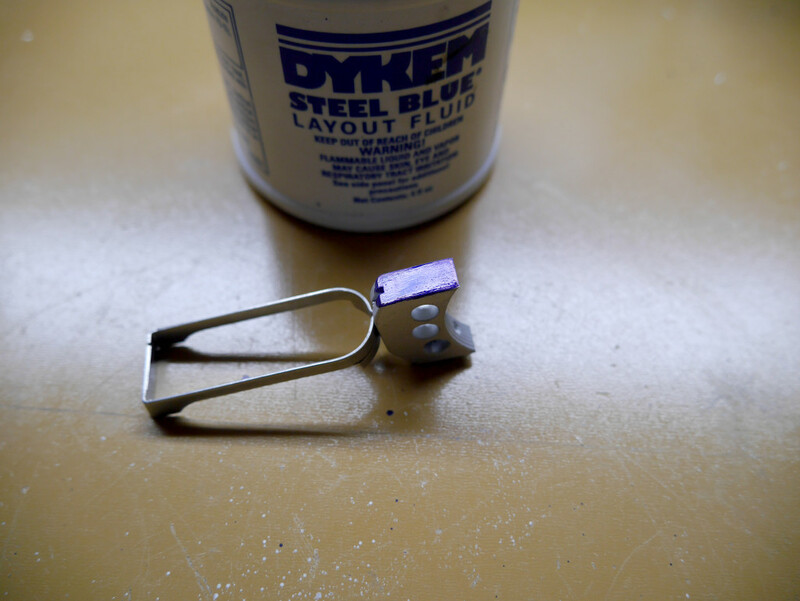 As I repeat the process of putting Dykem on the top of the trigger, I start putting it on the bottom and sides as well. Here, I see a scratch on the side which mean there’s a burr in the frame. I use a combination of my needle files and sandpaper to remove the burr. 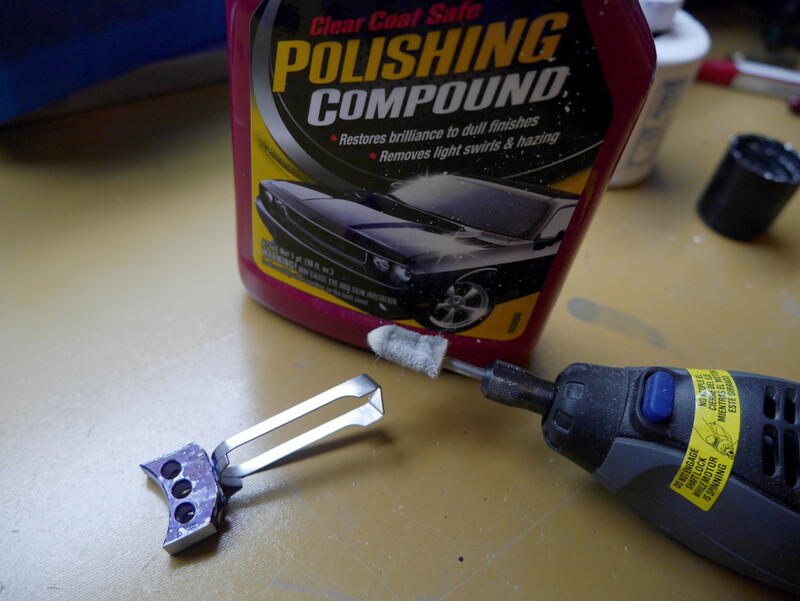 After the trigger is moving smoothly with no marks on the Dykem, I get out my polishing compound and Dremel tool to go over the entire trigger, paying special attention to the outside bow that rides in the frame and rear section which touches the disconnector. 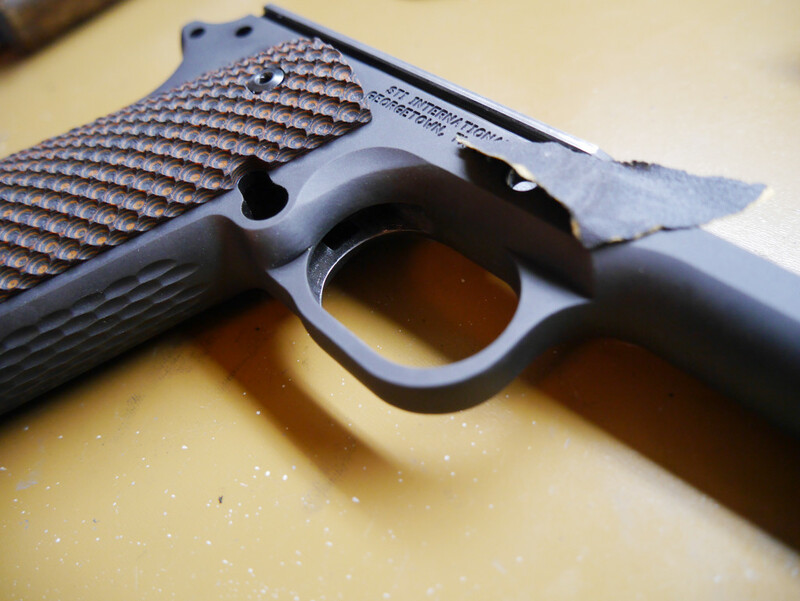 Clean off all the polishing compound, oil up the bow a little, and put your 1911 back together. 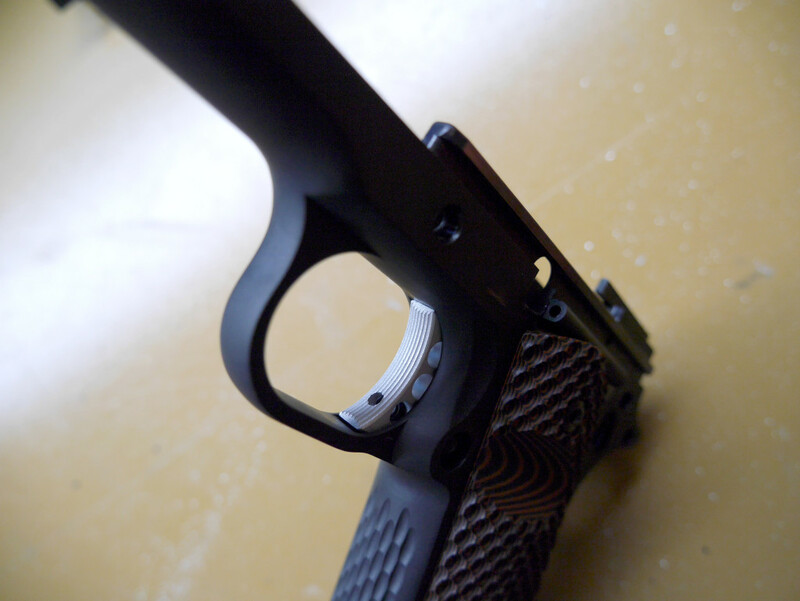 You now have a sweet custom fit trigger! 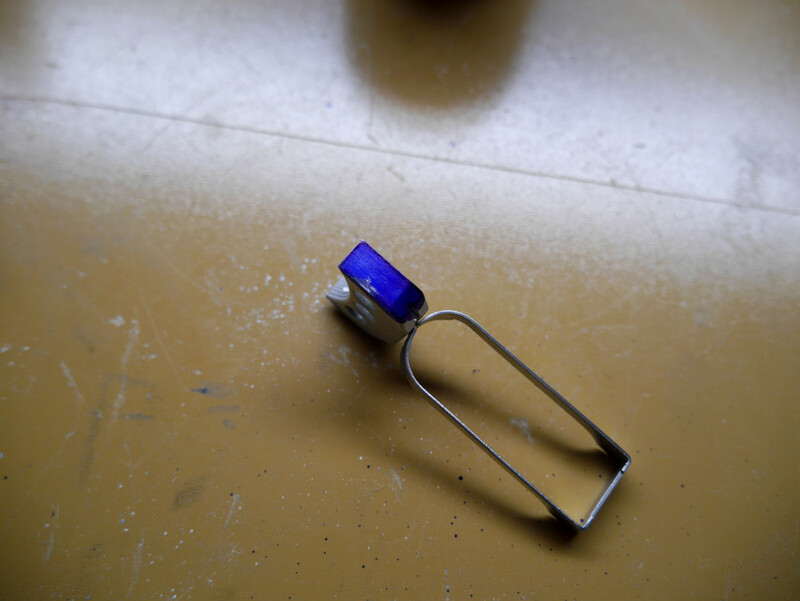 Check out our next guide for how to adjust your pretravel tabs and overtravel screw.